Typeforms: Typeforms is an easy way to create user-friendly, slick surveys. It’s a great way to knock a few preliminary questions about of the way in a “New Client Survey” before creating a proposal. You can ask questions that will help save time and drive the conversation forward when having your first new client call and set you up for success when moving on to creating the customer proposal. Qwilr: Proposals are a giant, time-consuming beast when you’re an agency. They can take hours or days of work, and can oftentimes result in no business despite the time spent creating them. If you’re able to save blocks of content and speed up the process, this can save your agency tons of time and money. What I love about Qwilr is that you can create slick web-based proposals that view as a fancy web page, which showcases that your agency is tech savvy. You can also have your new clients accept and pay for the proposal straight from the custom Qwilr website. If you’re up against other agencies submitting out-of-date PowerPoint proposals, this is a no-brainer tool for your agency. Calendly: Calendly is a life-changing tool that will take the annoying back-and-forth out of scheduling meetings with clients. You can set your custom availability per day, create blackout dates, manage the length of calls, prevent a type of meeting being scheduled more than once or twice a day, ask questions from those scheduling meetings, send calendar invites and reminder emails, and more. The best part is that your clients can completely control the time and day of the meeting, so they can choose what works best in their calendar without even one email from you. 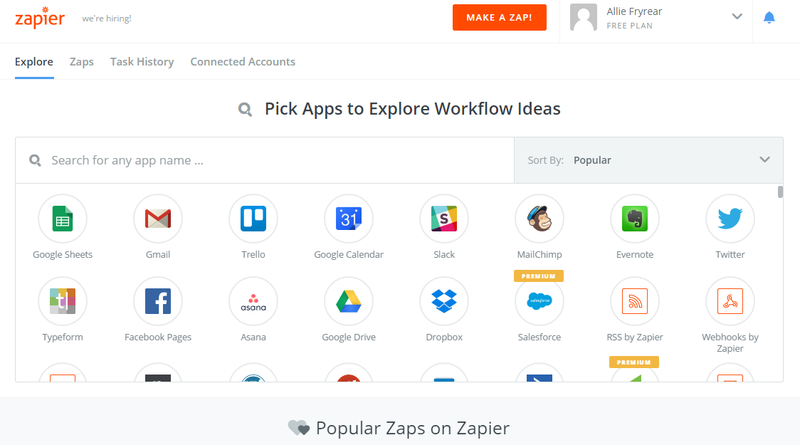 Zapier: Zapier is a tool that allows you to create connections between common tools such as Gmail, Slack, Trello, Twitter, Evernote, Google Drive, Mailchimp and more. You can use Zapier to automate tasks that’ll save you time. An example of this is to connect Typeforms to Google Docs so that a spreadsheet row is created when a new client fills out your survey, and then connect Typeforms to Trello so that it also creates a Trello card to remind you that you have a new client survey to review. Be sure to explore popular Zaps if you don’t quite understand how to utilize the tool. Hatchbuck: Hatchbuck is a great option for small businesses interested in a marketing automation tool and CRM. Their biggest selling point is their price point — large enterprise tools are expensive, so if you’re a small, boutique agency like me, it’s hard to justify the monthly cost. But Hatchbuck starts out at just $59 a month. Another bonus of Hatchbuck is that they have an awesome, intuitive CRM tool that allows you to manage your client communication as well and an incredibly responsive support team to help along the way. Trello: I’ve tried a number of project management tools throughout my career — everything from spreadsheets and Evernote to Asana and Basecamp. To me, nothing is as intuitive as Trello. You can create Trello boards for different projects, clients or content calendars. You can move cards between lists, set due dates, attach files to cards and more. You can also collaborate with clients or freelancers on Trello boards. The best part about it — Trello is completely free! 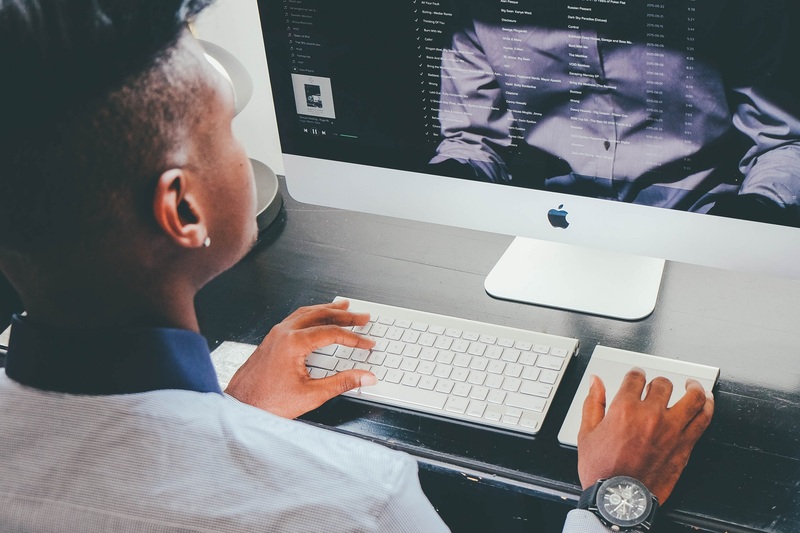 GatherContent: Since content is one of the #1 things brands are looking for these days, chances are your clients are asking you to create content for them or manage content marketing campaigns. I spent months searching for the right tool to manage content campaigns for the right price since a lot of tools like Contently and Newscred are far too expensive for smaller marketing agencies. GatherContent allows you to create a separate instance for every client, so each client will have their own login, workflow, and WordPress connection. You can manage user controls, invite freelancers and create templates that allow you to control the type of content being created for your clients. 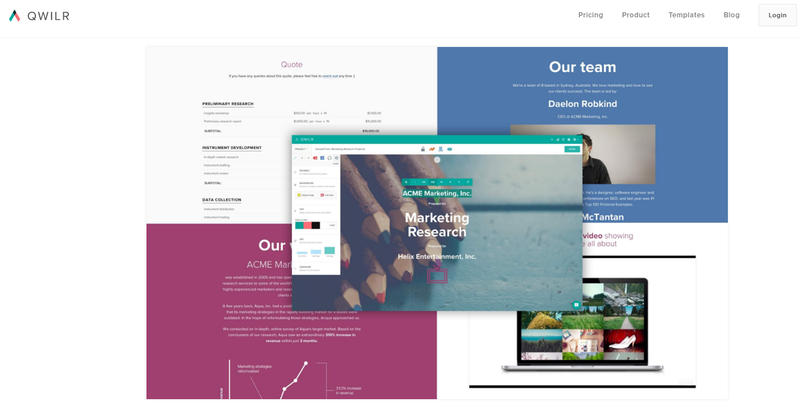 To me, it’s the best content management tool for small marketing agencies. I’ve found success using the aforementioned handful of tools that add minimal costs to my agency’s bottom line every month, but save me a ton of time and energy. There are many more valuable tools out there so check back for updates to the list!